The United Way of Cayuga County had a lot of information compiled on forms and flyers. They sought the services of Crème della Crème Copywriting & Communication to condense their information into a clean, organized, and eye-catching brochure. 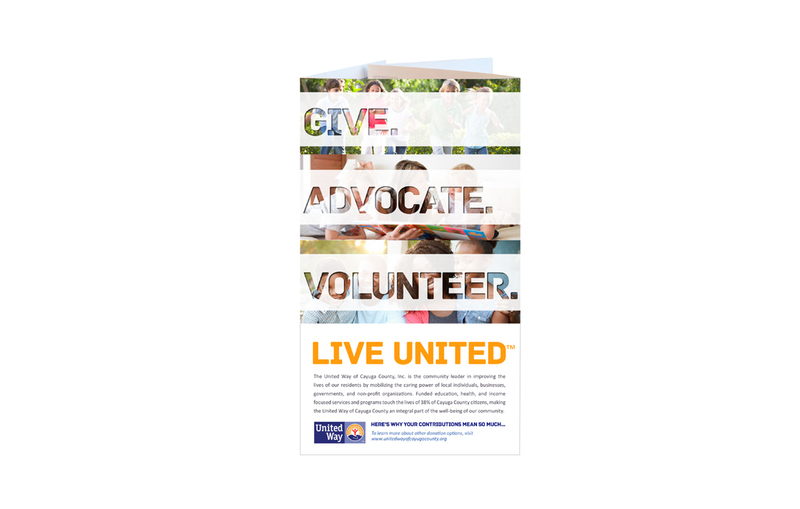 They also commissioned the design of a poster to convey their program message, “Great things happen when we live united”. Crème della Crème consolidated all of the information that the United Way of Cayuga County had provided them and designed a brochure that was succinct, organized, and eye-catching. The poster captured the feel of the organization, emphasizing the important and wonderful things that happen when the community is united together.